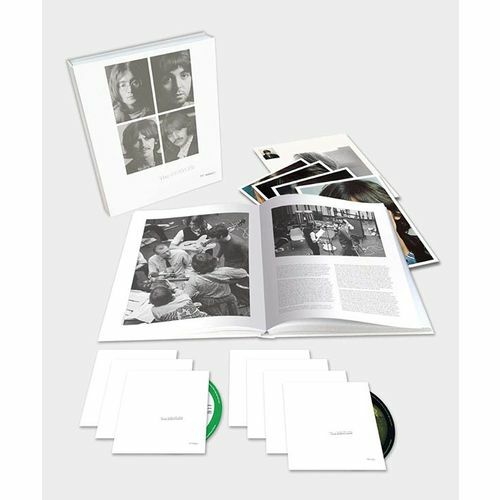 Includes three CDs of ‘sessions’ and a blu-ray audio disc that features a 5.1 surround sound mix, a hi-res stereo mix (of the new stereo remix) and a direct transfer of the original mono mix. The sessions include 50 additional recordings, most previously unreleased, from ‘White Album’ studio sessions; all newly mixed from the four-track and eight-track session tapes, sequenced in order of their recording start dates. This is packaged as a book which slots into a slipcase. 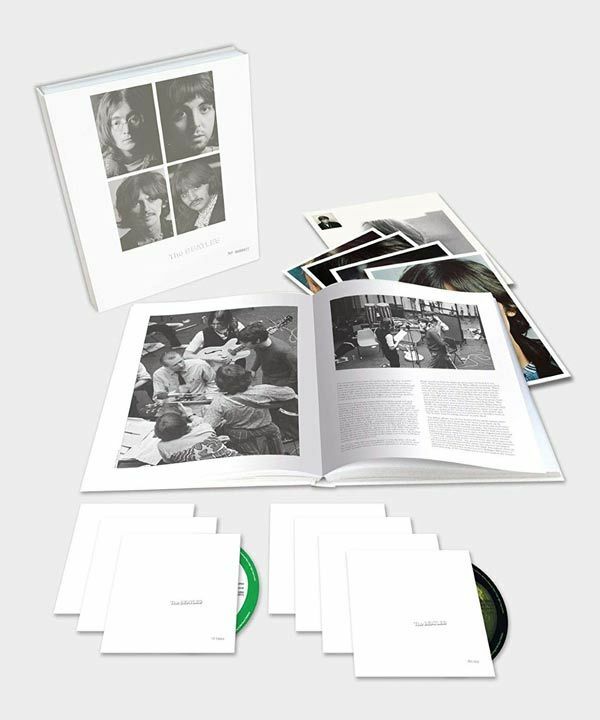 It includes the four photos and the poster that came with the original ‘White Album’ as well as the seven discs. The album arrived in good condition and typically high quality Beatle packaging and product. The only downer for me is the BlueRay which is basically the album again with the same four photographs sliding across the screen. Nothing out of the ordinary and justifying BlueRay to me. Could have been better with some video of the band in rehearsal or any singles etc. Other than that this is typical high quality Beatle product and Beatle nuts will love it. My order arrived when expected, securely packed.